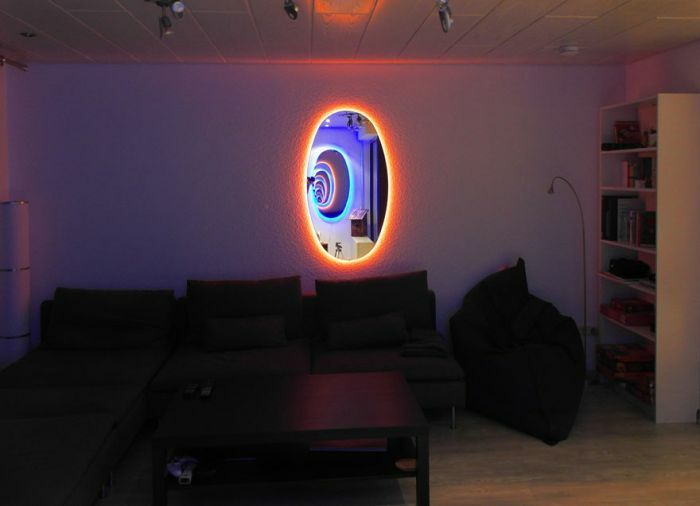 If you need something to make your room a little more interesting then these mirrors inspired by the game "Portal" should do the trick. 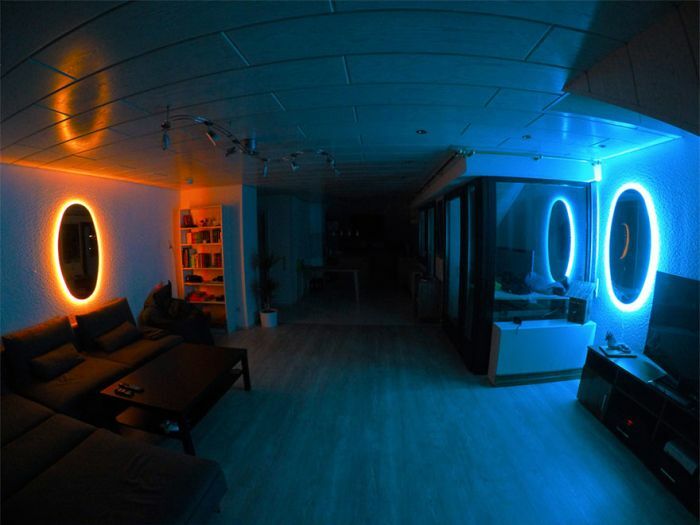 They look awesome and they're easy to make. 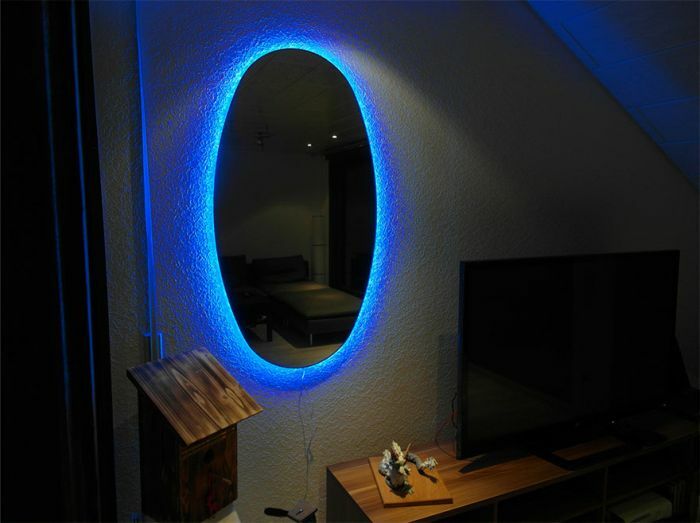 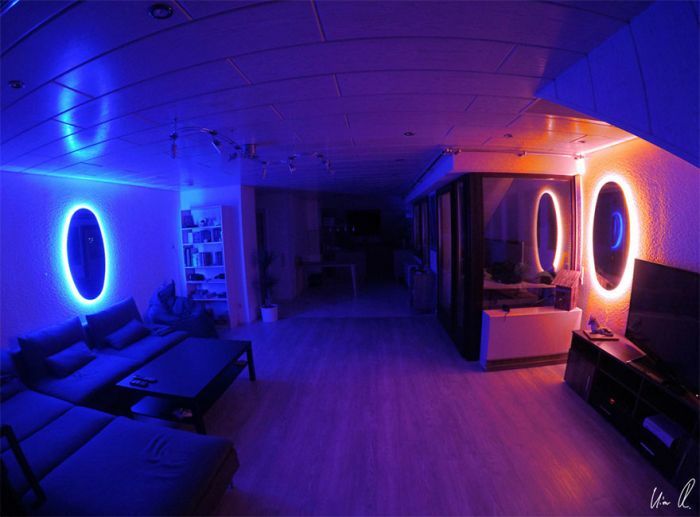 All you need is some blue and orange LED rope lights and some mirrors. 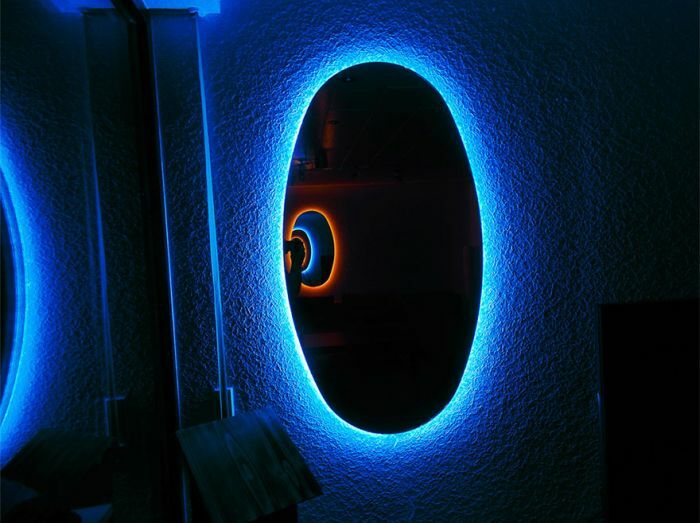 Set up two mirrors across from one another to create the infinity effect and you're good to go.